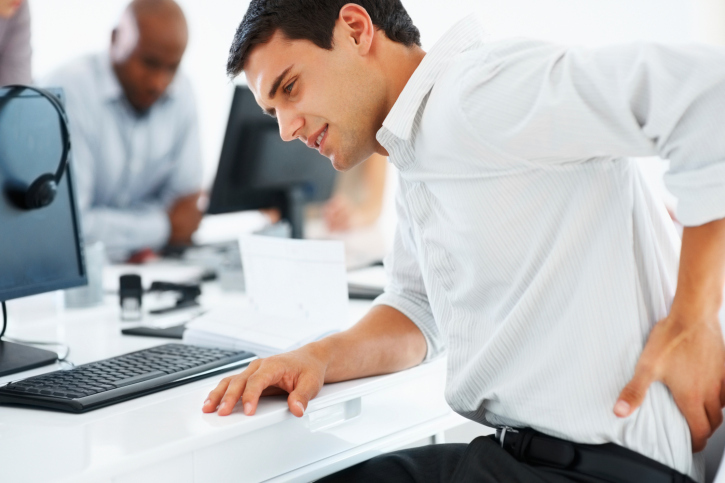 Did you know that more than half of all working Americans suffer from back pain? Are you one of them? If so, Texas Family Chiropractic can help! Texas Family Chiropractic is dedicated to helping you enjoy a pain-free life through chiropractic care. The problems most commonly treated with chiropractic care are back and neck pain, pain in the joints of the arms or legs, and headaches. However, research has proven that chiropractic care can be beneficial for a variety of conditions! 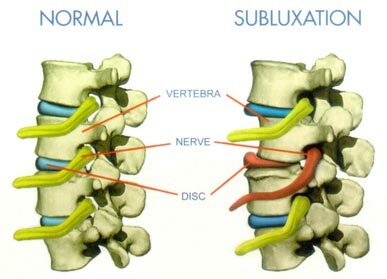 Chiropractic is widely recognized as one of the safest drug-free, non-invasive therapies available for the treatment of neuromusculoskeletal complaints. Spinal subluxations can be treated with chiropractic care. 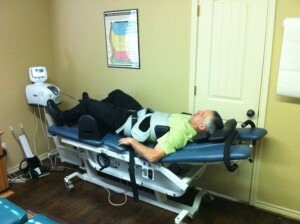 A patient receiving spinal decompression therapy at Texas Family Chiropractic. The American Chiropractic Association estimates that 31 million Americans experience low-back pain at any given time, and as many as 80% of us will have a back problem at some point in our lives. Don’t be a statistic! Come in today and let Dr. Procter show you how you can live a pain-free life through chiropractic care!